Giving back to our community and helping share the gospel of Jesus Christ is a commitment that we made long before we started our business. We are proud to dedicate a portion of our time and sales each year to Samaritan’s Purse. 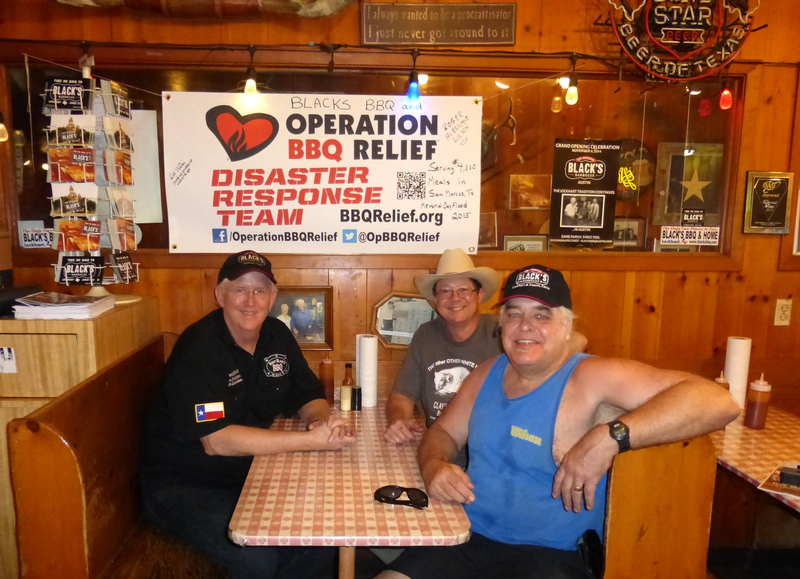 We are an active cook team and volunteers for Operation BBQ Relief (OBR), a non-profit organization providing meals, hope, and encouragement on-site to those affected by natural disasters throughout the US. In May of 2015, we were deployed to San Marcos and Wimberley, TX where we joined efforts with Kent Black’s BBQ to cook hundreds of hot meals for flood victims and first responders each day. We extend a special thanks to our great friend, Oklahoma Blues Hall of Famer, Roger ‘Hurricane’ Wilson, who no matter what the circumstance drops what he is doing to travel and help us cook for and feed those in need. In September of 2016, we were able to present a check in person for donations collected at Currahee Vineyards & Winery to Will Cleaver, Co-founder of OBR at the cook site in Hammond, LA in the aftermath of the massive flooding in Baton Rouge and surrounding areas. Tracey’s father lost his home of 50 years and her childhood home during the flood.